Ever hear the phrase “A little bird told me?” Well, this particular bird is reaching out to audiences all over the world, inspiring and sharing messages, everyday. He goes by the name of Twitter. The social media site with over 230 million users sending 500 million tweets a day, continues to grow. What a fast and efficient way to spread awareness about your business. So much to say, but only 140 characters to do it. That is where effective Twitter Marketing comes into play and why businesses must take a proactive approach. Like any successful business knows, you must always have a strategy and game plan for the best outcome. Making your Twitter profile so that it is easily identifiable will maximize your presence. Choosing a Twitter handle that is short, clever and easy to remember is the best way to go. Designs and colors that represent your business for the profile picture and header will make the audience remember who you are and what you represent. Always include the statement message and purpose of organization as well as a URL to the official website. These details allow your Twitter account to stay noticeable, recognizable and prevent your tweets from getting lost in what we call the Twitterverse. Establish important goals in your strategy. 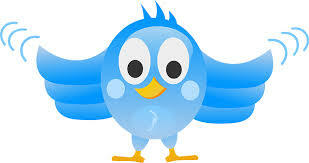 When developing the strategy plan, there should be goals in which the purpose of your Twitter account is defined. Are you trying to increase awareness about your business? Want to generate engagement of customers or gain more leads? Figure out the exact purpose so you can determine what kind of audience you are trying to capture. This way, your business can produce the best message to relate to your audience and get the most responses. Remember that Twitter is not a new marketing plan for your business, but rather an effective tool for the overall outcome. A Twitter handle, a live feed on your website, a blog, promotional events, contests and other social media platforms like Facebook and Instagram are important tools to use for your overall strategy. They put all the pieces of the puzzle together and make it one masterpiece. So your Twitter account is created, up and running. Now it’s time to monitor, measure and make adjustments when necessary. Measuring behavior is crucial when determining your outcome and can be done so by using sites like Klout, Twitter Analytics, Demographics Pro, Sprout Social and Hootsuite. These will help you to see the influence you have made, who is following and interacting and what type of demographics your audiences possess. Don’t be afraid to change things around or re-word messages. That is the beauty of social media, it is always changing and most of the time for the better. So the next time you hear someone say “A little bird told me,” it may not come as a surprise to whom it is.